Tackling electrical repairs on your own is never advisable unless you have a sufficient amount of skill and experience. Whether it’s a blown bulb or power shortage, Mr. Electric has the expertise to assist with any urgent electrical work that’s required in your home. We have electricians in all parts of the UK who are available 24/7 and can typically respond to electrical emergencies within 45 minutes. When you call Mr. Electric, you’ll be greeted by an electrician wearing full uniform and carrying ID that can be produced upon request. All of our technicians also drive clearly marked vans, giving you reassurance that you’re dealing with a professional and trustworthy electrical company. No matter the emergency, we’ll always ensure that any remedial work is fully quoted and approved by you first. To minimise disruption to your home, our electricians wear shoe protectors and use dust covers wherever necessary, and will make sure to clean up thoroughly once work is complete. Because we’re a NICEIC Approved Contractor, any work we carry out is protected by the NICEIC Platinum Promise, as well as our own 12-month guarantee. 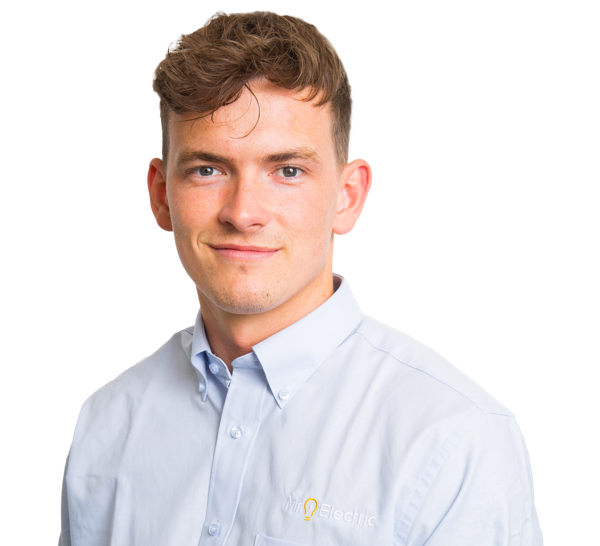 It also means that all of our technicians have been trained and assessed to the very highest standard, with all work conforming to British Standard 7671 (The Wiring Regulations) and Part ‘P’ of the Building Regulations for England and Wales. At Mr. Electric, keeping our customers safe is the number one priority. We will take the time to conduct an electrical safety test with every callout, free of charge, to ensure that all electrical installations in your home comply with the relevant safety standards. Our electricians have a duty to inform you of anything that poses a risk to your personal safety – such as exposed wiring or an overheated fuse – and advise on the solutions available, allowing you to make an informed decision. A power cut can be annoying at the best of times, but it could also indicate that there’s a fault with the electrics in your home. Sometimes it will just be a case of flicking the relevant switch in your fuse box, but if you’re unsure of the cause or would rather not take the risk, calling a professional is the safest course of action. Our electricians will be able to diagnose the problem and provide a quick fix, or, if necessary, escalate it to your electricity provider. If your lights are flickering, buzzing, or not turning on and off, it could mean that the wattage is wrong. Alternatively, there may be a bad connection between the bulb and switch. If replacing the bulb doesn’t help, Mr. Electric will be able to establish the root cause and get your lights shining again. If you detect a weird fishy smell from a switch or wall socket, it might mean that the connection to an electrical device’s circuit has been damaged – commonly known as ‘arcing’. When this happens, the electricity will jump to complete the circuit, which can result in a fire. Our local presence and 24/7 coverage allows us to respond promptly in such cases. If you have an emergency or routine repair that needs taking care of, get in touch with Mr. Electric today on 0800 7311 606.